If you’ve been injured, you’ll likely only have one opportunity to seek the compensation you deserve. As experienced attorneys dedicated solely to helping injured workers, we will vigorously pursue full compensation for your injuries. Attorney Jim Bartells was born and raised in Portage, Wisconsin. He attended college at the University of Wisconsin-Madison and obtained a BBA degree with honors in 1971. He graduated from the University of Wisconsin-Madison Law School in 1974. He was elected District Attorney of Lafayette County, Wisconsin, in 1974 and 1976. 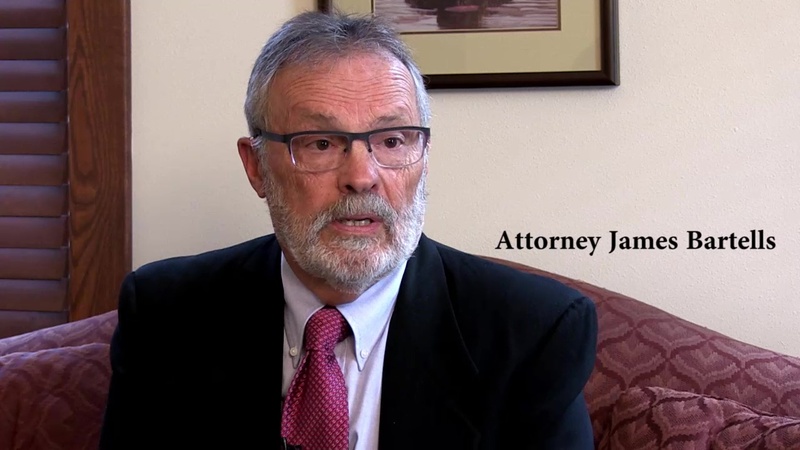 From 1977-1984, he was a trial attorney for Wausau Insurance, traveling the northern two-thirds of Wisconsin, handling worker’s compensation and personal injury cases. Jim has been elected to the “Best Lawyers in America,” and has lectured for numerous groups and seminars on worker’s compensation law. He is rated as BV Distinguished for 25 years by Martindale-Hubbell. He was past president and founding member of the Board of Directors for Wisconsin Association of Worker’s Compensation Attorneys. Jim has also been elected to Best of the U.S. He is licensed to practice law in the State of Wisconsin and the Federal District Courts of Wisconsin. We are sometimes asked how our firm is different than personal injury firms that occasionally represent injured workers. Three things stand out. First, our entire practice revolves around helping injured workers in worker’s compensation claims. We are not a personal injury firm that occasionally takes on worker’s compensation claims. We are a worker’s compensation firm – that’s what we do. Second, I believe that our worker’s compensation experience is unmatched in Northern Wisconsin. My practice has been devoted to worker’s compensation for more than 40 years. Collectively with my partners, we have more than 80 years of experience in worker’s compensation practice. With this experience, we have a pretty good idea of what you’re entitled to if you’ve been injured on the job. And you can bet, that’s what we’ll be seeking. Third, we are all guys who had to work our way through school and the legal profession. We understand that seeing a lawyer can be intimidating. We try to treat people as they would like to be treated . . . as regular people. That is why we started bringing our dogs to the office; to help people relax and think, “Gee these guys are okay.” This is important to us and to injured people who didn’t want to get hurt at work. This back ground helps people get through the tough times and makes it easier for us to do a great job for you. If you’ve been injured on the job, I would invite you to call us to schedule a free consultation at your convenience. Elected District Attorney of Lafayette County, Wisconsin, in 1974 and 1976. From 1977-1984, he was a trial attorney for Wausau Insurance, traveling the northern two-thirds of Wisconsin, handling worker's compensation and personal injury cases. Jim and his wife Rosy have two children, Carey, a paralegal and law office manager, and Jamie, a Doctor of Chiropractic and Dean of Academics at a local university. Jim has 6 grandchildren, 4 boys and 2 girls. Jim is an avid fisherman and hunter, and enjoys golf.